Thank you to all the people who made 2015 another highly successful year for our club. 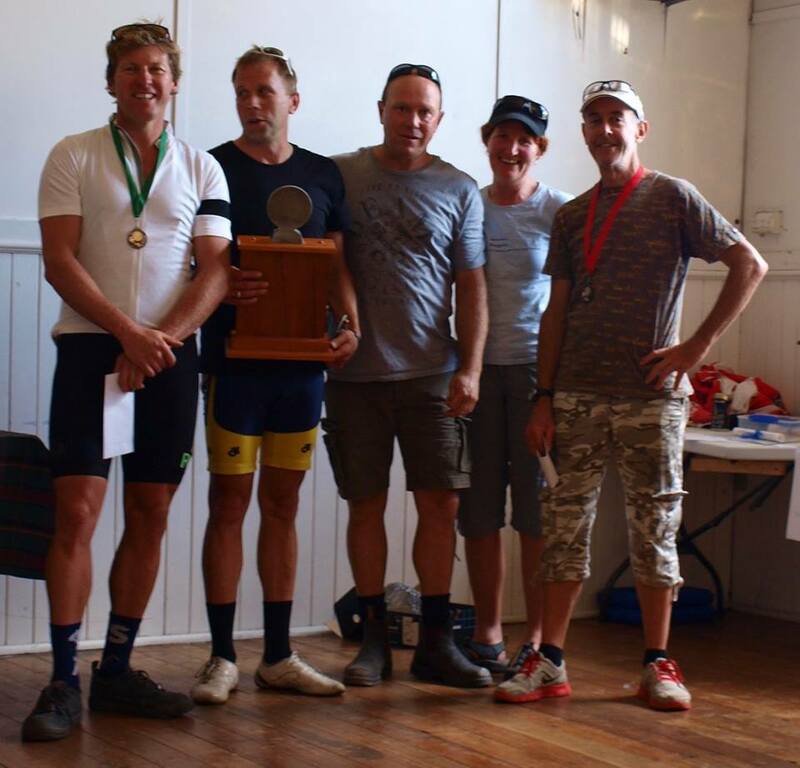 Keith Dolting was a founding member of the club and on Sunday he was talking about how the club started off with a few racers thinking it would be good to get together and have a race on a Sunday. He said at that stage they would never have imagined it would become what it is today. The volunteers and the people who come out week after week, not only make it possible for the club to continue, but they play a very strong role in determining the culture of the club. It is the volunteers that are the first to greet the riders and set the tone for the day. It is the same volunteers who by their presence, especially on those cold horrible days, that make it impossible for the riders not to be grateful for the opportunity to race. Being grateful for the chance to race suddenly makes winning and results less important, and as a result our club’s aim of providing safe and enjoyable racing comes to life. 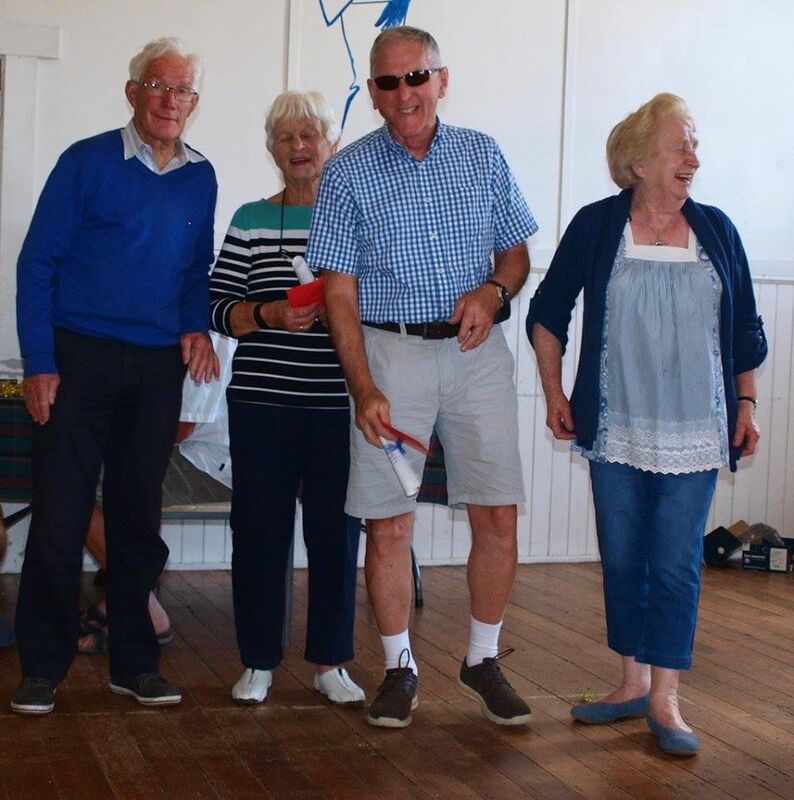 Every year we acknowledge a Club Person of the Year and with names like Keith Dolting, Charles Barker, Lynne Woodfall, Jay De Gier, Eileen Hillier, Amy Moore and Gary Woodfall I am sure this will give you a clear picture of what sort of contribution this award signifies. Congratulations and Thank You – John and Eileen Hillier & Gavin and Amy Moore. These couples are there almost every week at 830am and are usually amongst the last to leave. They are there to set , help on the table, Amy always drives to assist Lynne and others on the finishing line whereas Eileen stays at the desk and monitors the numbers and keep an eye on all of our gear. Both John and Gavin are always keen to fill holes in the duty roster and assist with whatever is required. These guys keep our club going!! In 2015, you would be aware that we felt we wanted to acknowledge the efforts of our older riders. Many of us who race, know the ups and downs of motivation, and know at times it is hard to keep riding. We can only hope that continue to ride as we get older. The older riders provide motivation and are in many ways role models for the younger riders to aspire to, as they are simply inspirational. 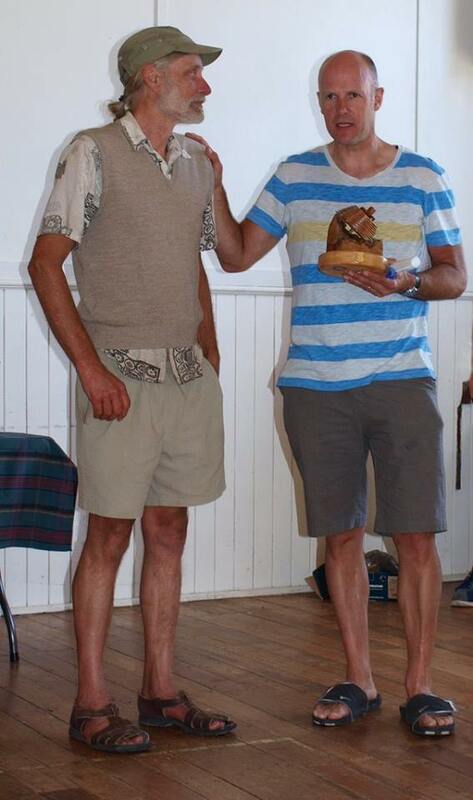 So when we decided we wanted to reward our most consistent rider and performer every year, we felt it was important to have a general classification and an over 60 Award, and for the first year we should begin with the Over 60 Award only. Ric Easton, who not only had tremendous performances, rode an amazing 34 races out of 40, more than any other competitor …all whilst living in Sheffield. This is an unbelievable input into the culture of our club and strongly epitomizes a great deal of what this club is about. As Scott Watson wrote, the humility Ric displayed upon receiving this award was wonderful and demonstrates even further how deserving a winner he is. Paul joined the club and had his first race just over a year ago. In his first year Paul had the 3rd equal highest no. 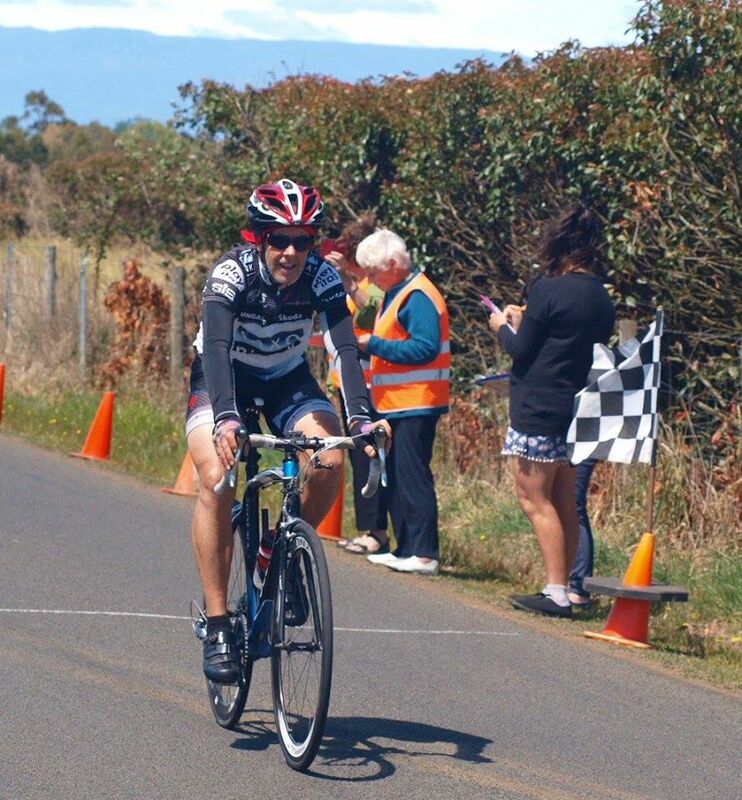 of races, won 5 GMS races, 1 Graded Handicap and a 2nd in our biggest feature race ….going from E grade to C grade (knocking on door of B Grade) along the way. A great attitude to riding and a pure gentleman of the club. 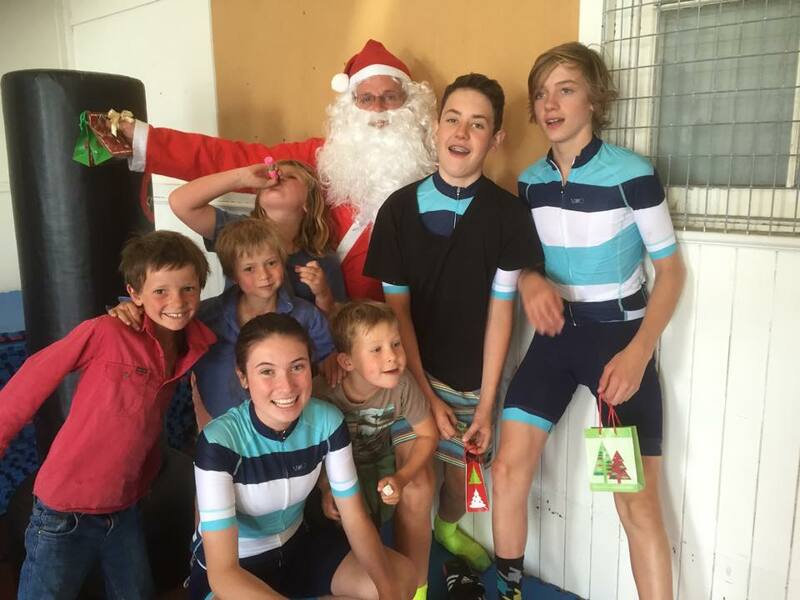 The Tas Mobile Caravan Service KOM was also a new initiative this year and it certainly livened up a few races in the first 20kms and provided many riders with a lesson on the importance of the Warm Up. It was hotly contested and popular amongst the riders. Thank you to Jen and Peter Booth for their generous sponsorship of the event. It wasn’t until late in the year that it became known that there was serious prize money and we have a feeling that it will be hotly contested from race 1 next year. Thank you to Gary Woodfall for his tireless work in collating the attendance and results of every rider for every race so as these awards are possible. Another example of the fantastic contribution people make to the club, behind the scenes. Thanks to Jay for another great year of photos ……Lynne for all the work organising the Xmas Lunch …..and on the list goes. Thank you to our fantastic President Luke Moore and his committee for the work they have done this year. It’s often hard work fronting up on those days where you are not 100% or have a million other things to do but this group gives up a lot of their own time to keep the show on the road. Finally thanks to the riders and their families, for coming out, riding hard but keeping it in perspective. It’s certainly a great club that we are lucky to have, we must continue to respect it and value what we have. Have a Great Xmas and New Year!!!!!!!!!!!!!!!!!!!!!!!!!!! !